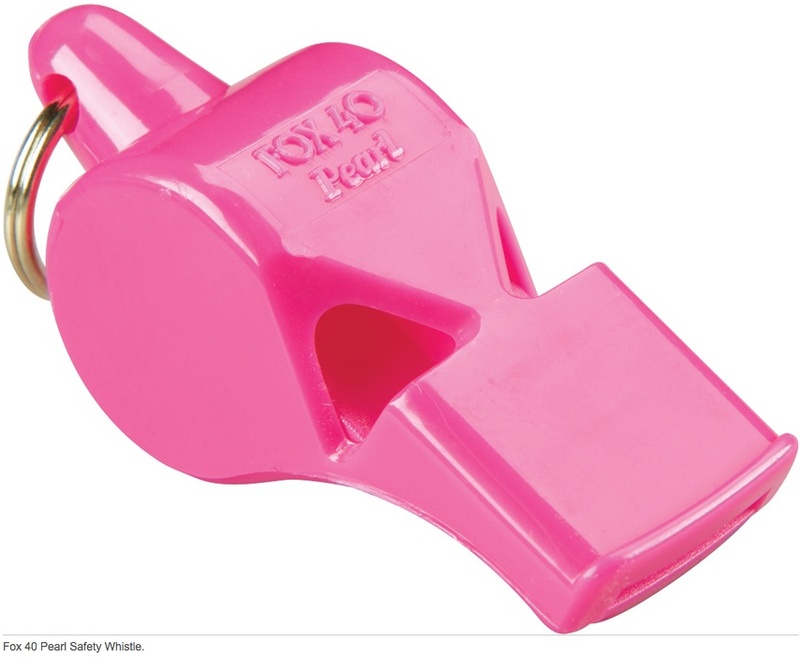 Fox 40 Pearl Safety Whistle in Hot Pink. Used by officials and coaches worldwide. Also used by police, firefighters, rescue professionals, lifeguards, boaters and individual safety use. Sound power: 90 dB. Can be heard above man-made noise. Waterproof and unbreakable. Made in Canada. Fox 40 Pearl Safety Whistle. Pink casing with keyring. Uses pealess whistle technology. The preferred whistle choice for professional and amateur officials and coaches worldwide. Also used by police, firefighters, rescue professionals, crossing guards, lifeguards, boaters and individual safety use. Whistles cannot be overblown. Sound power: 90 dB. Can be heard above man-made noise. Waterproof and unbreakable.